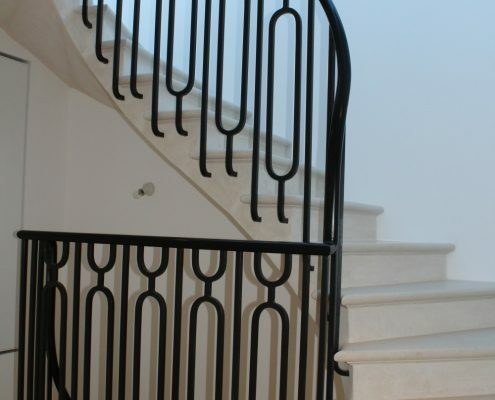 This street is one of the most opulent in North London, overlooking Regents park with properties worth upwards of £40m each. 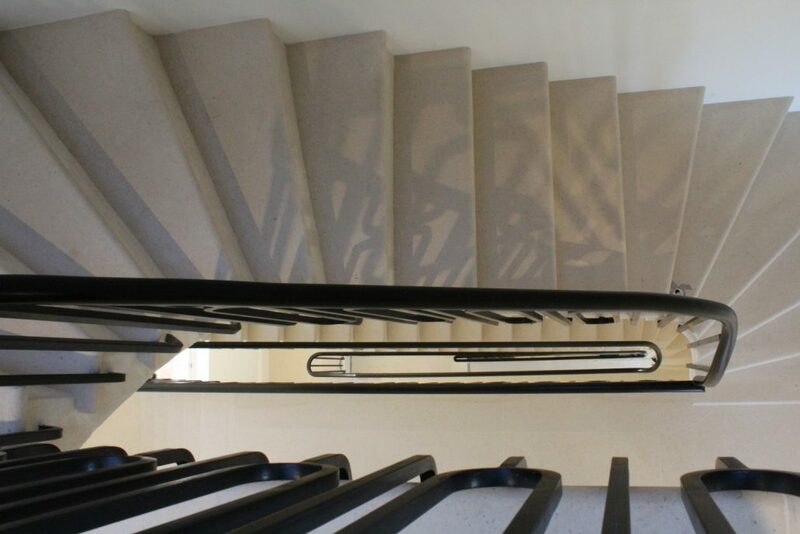 To date, we have worked on three properties, this one was over 7 floors – a handrail spanning almost 60 metres including intermediate landings. 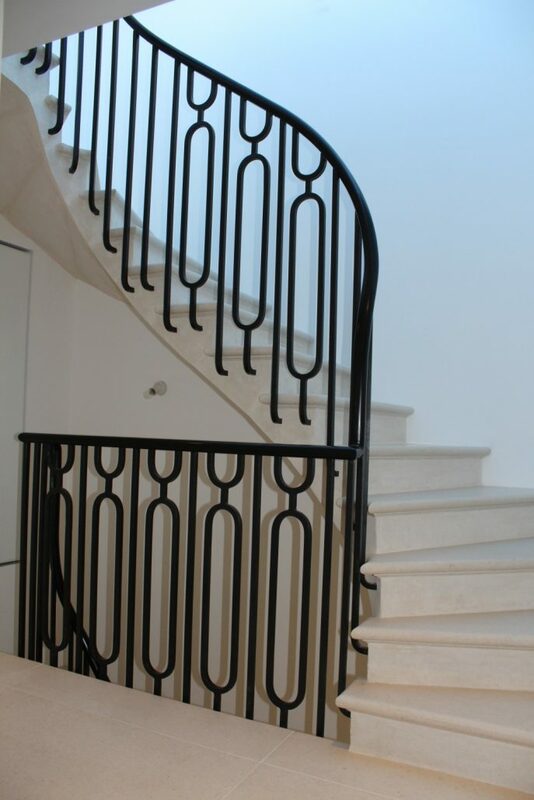 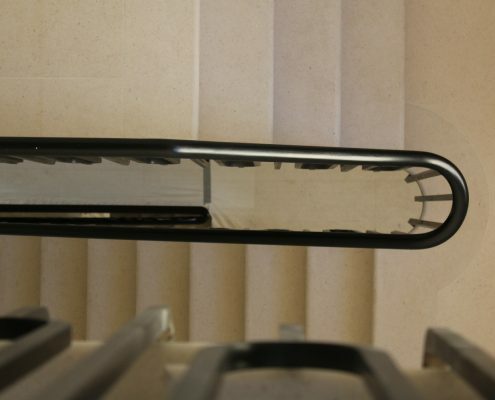 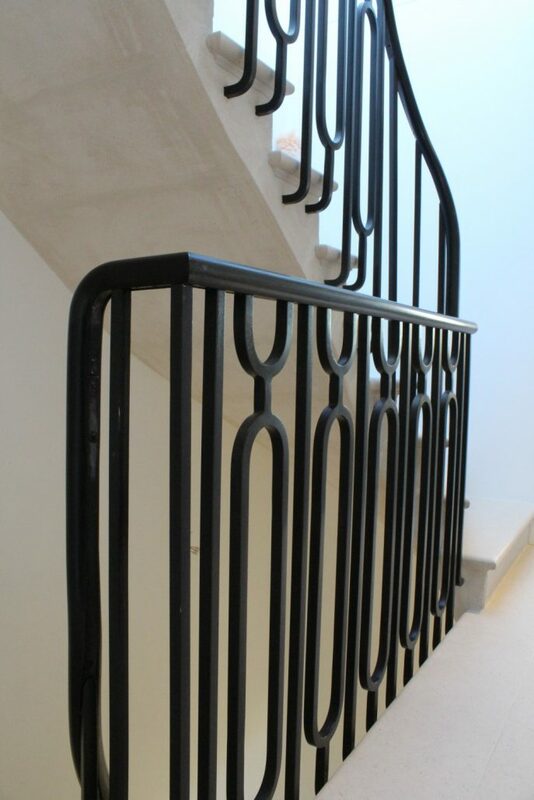 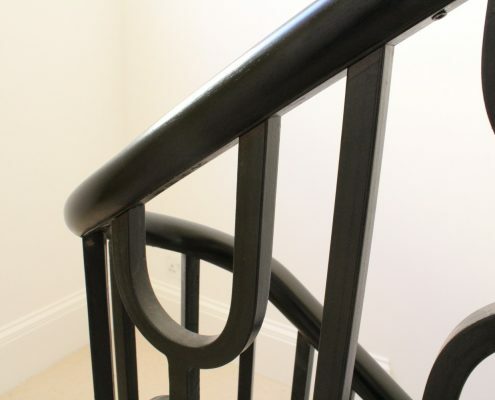 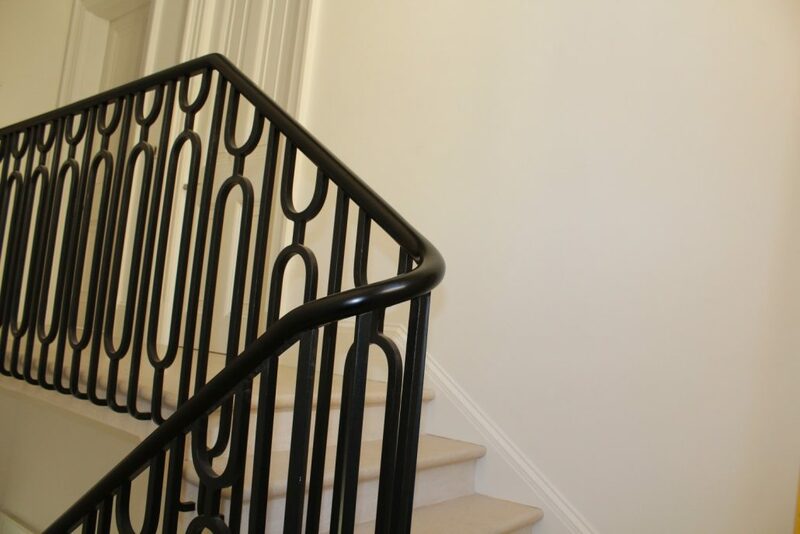 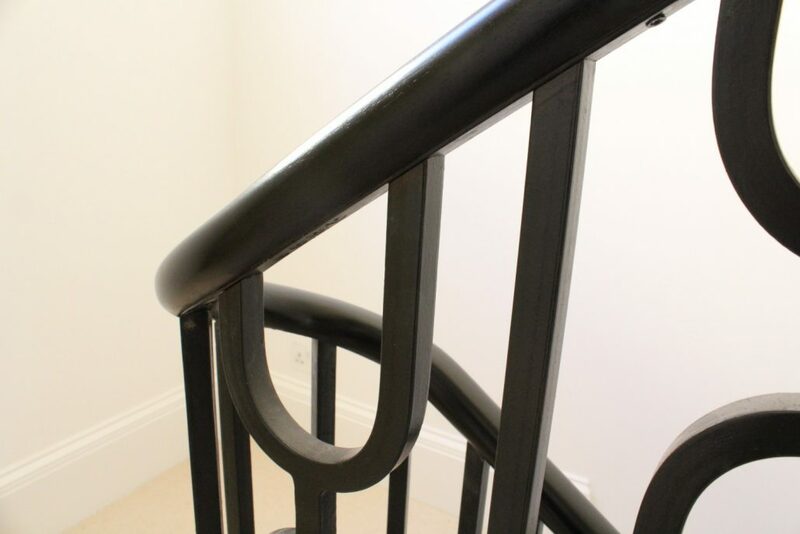 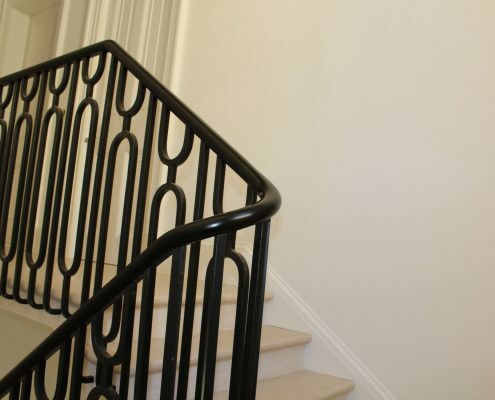 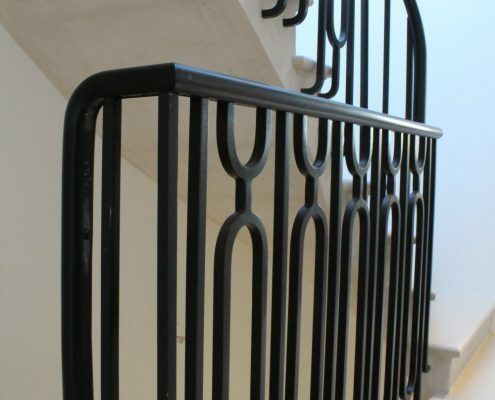 The handrail was extremely delicate, a 50mm x 40mm oval with a rebate for a 5mm thick steel flat bar. 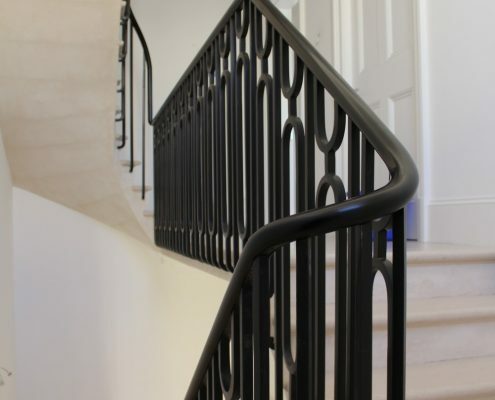 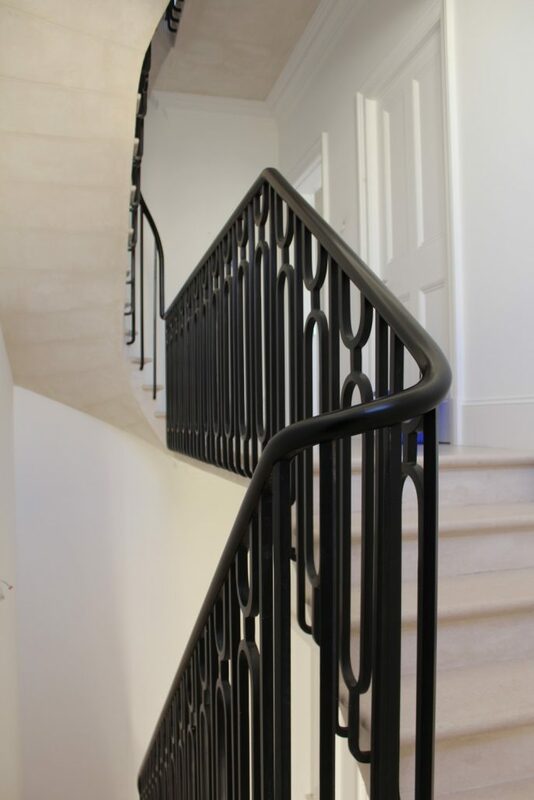 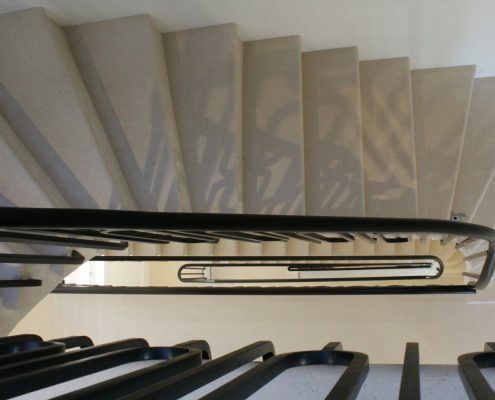 There were some extremely tight 180 degree turns on the stairs so our design team were pushed into creating a handrail that twisted like a rope in some places, and the results are stunning. 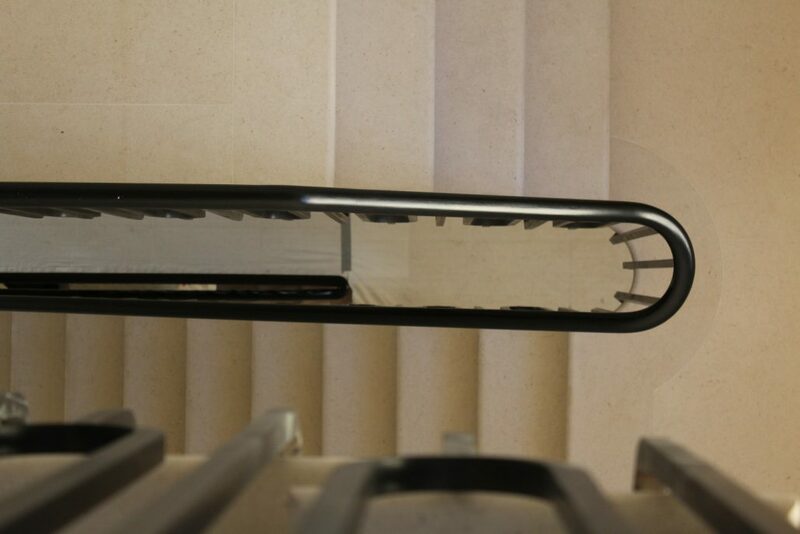 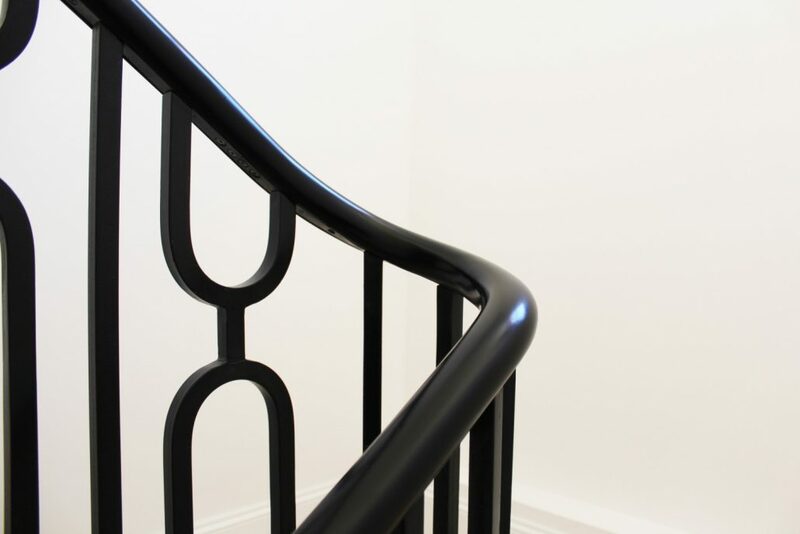 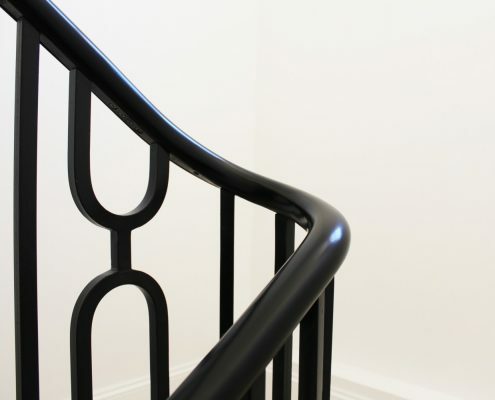 Finished black and hand polished, the continuous handrails were one of the very last features in this vast refurbishment.